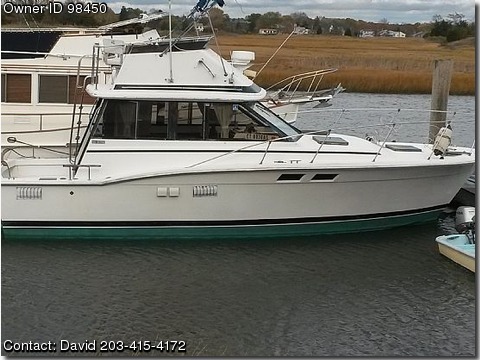 Boat is located in Guilford,Connecticut.Please contact the owner @ 203-415-four one seven two or bnbtyd(at)aol(dot)com…Very popular production boat. Boat is in the water in running condition. Engines are very good and alone worth the price. Boat in in fair condition but easy to get in nice condition. Need to move soon, lost space at marina.